In its second year, the Our Wisconsin inclusion program at UW–Madison expanded four-fold to 4,332 students, and survey results suggest it is increasing awareness of and respect for diversity on campus. The program, piloted to 1,000 students in the fall of 2016, aims to promote community among incoming students and increase knowledge about cultural differences. Workshops feature structured dialogue, activities and reflection. Student facilitators co-lead the workshops with a staff or faculty member. 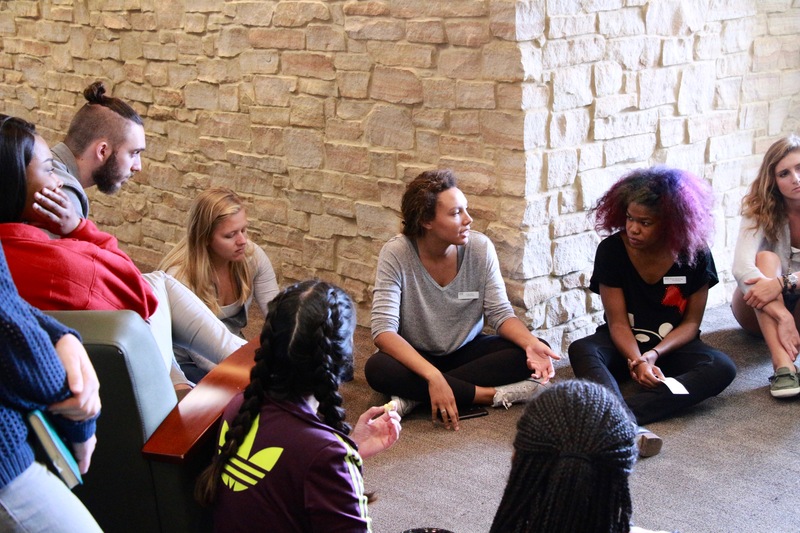 This year, all 7,500 students living in residence halls were given the opportunity to attend one of the program’s three-hour workshops during their first weeks on campus. Nearly 60 percent participated. 71 percent said they feel very or extremely responsible for helping members of their residence hall feel welcome at UW–Madison, up from 49 percent before the workshop. 73 percent said they feel it is very or extremely important to have conversations about diversity, up from 62 percent. 62 percent said they are very or extremely likely to speak up when a biased or stereotypical comment is made about another person or group, up from 47 percent. 80 percent said they have quite a bit or a great deal of sense of belonging to the UW–Madison community, up from 73 percent. 36 percent said they are extremely interested in having conversations with students who hold different social identities, up from 26 percent. Participants also said they came away with a greater appreciation for how social identities influence the way people view the world, and they gave the program itself high marks — 88 percent said they think it positively contributes to the campus community. Full data can be found in the newly released executive summary. The report shows 134 workshops were held in the fall of 2017, up from 59 the pilot year. Ninety-six trained facilitators led the workshops. Aaric Guerriero, who oversees Our Wisconsin as program director for inclusion education, and Tristen Johnson, program coordinator for Our Wisconsin, are busy this semester preparing for fall. The plan is for the workshops to again be offered to all students in residence halls, Guerriero says. The vast majority of residents in the halls are freshmen. Guerriero and Johnson joined UW–Madison last summer, at the completion of the program’s pilot year. For more information about Our Wisconsin, visit the website or email the program at ourwisc@studentlife.wisc.edu.